Standing on the bridge between Canada and Havermale Islands, you can see one of the many restorations of the Spokane Falls that began with Expo '74. 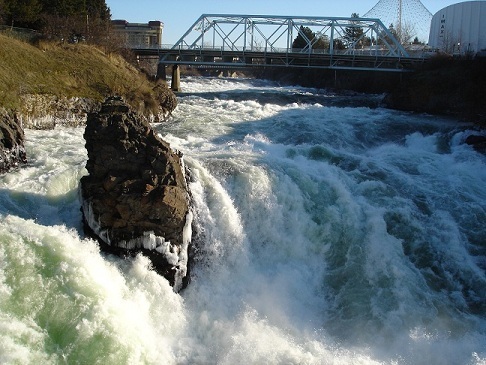 The spray and splash of the falls during the annual spring and early summer snow melt is familiar to Spokanites and visitors alike but the gurgles of late summer and autumn are a late legacy of that world's fair. 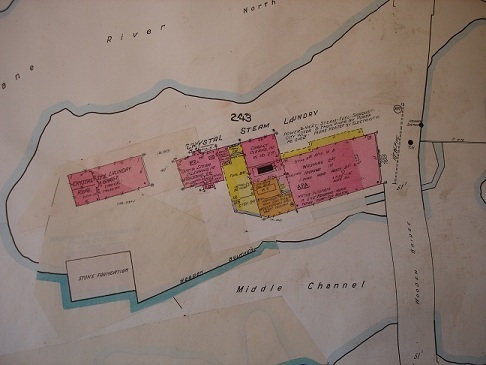 Washington Water Power, today known as Avista, traditionally managed their dams on the Spokane River, from Post Falls to Long Lake, almost exclusively to generate electrical power. 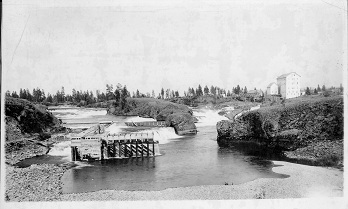 The powerhouse turbines on Havermale Island spun with the diverted power of the Spokane River and the falls were sometimes dry for weeks at a time. Just before Expo '74, city boosters arranged for the power company to release additional water for visiting dignitaries. 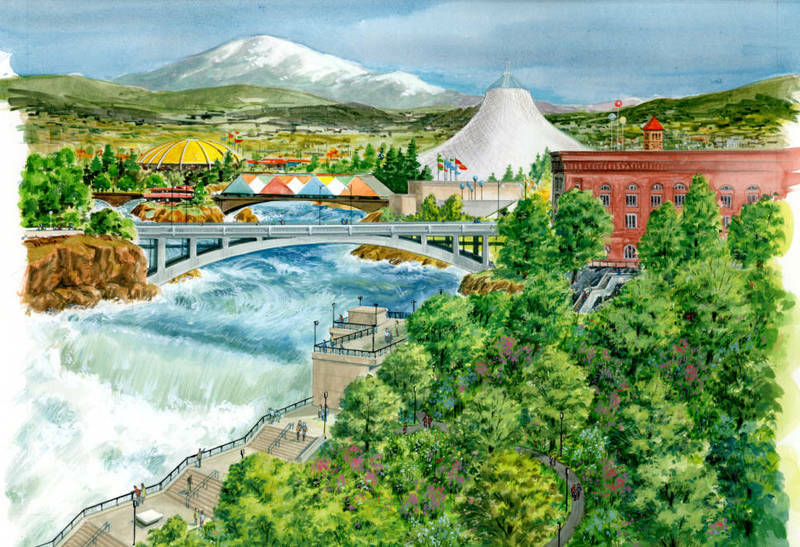 Uncertain about awarding a world's fair to a city as small as Spokane, the roaring falls were meant to instill in them a sense of wonder and convince them to hold the fair there. 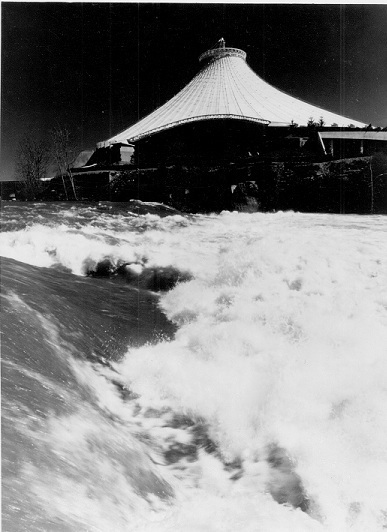 During the summer and fall of Expo '74, when even the free-flowing river would have been only murmuring and slapping on basalt, the illusion was recreated for fair visitors. Water roared below the American pavilion and around Canada Island. The river flowed full-time again through the center of the city, if only for a brief season. 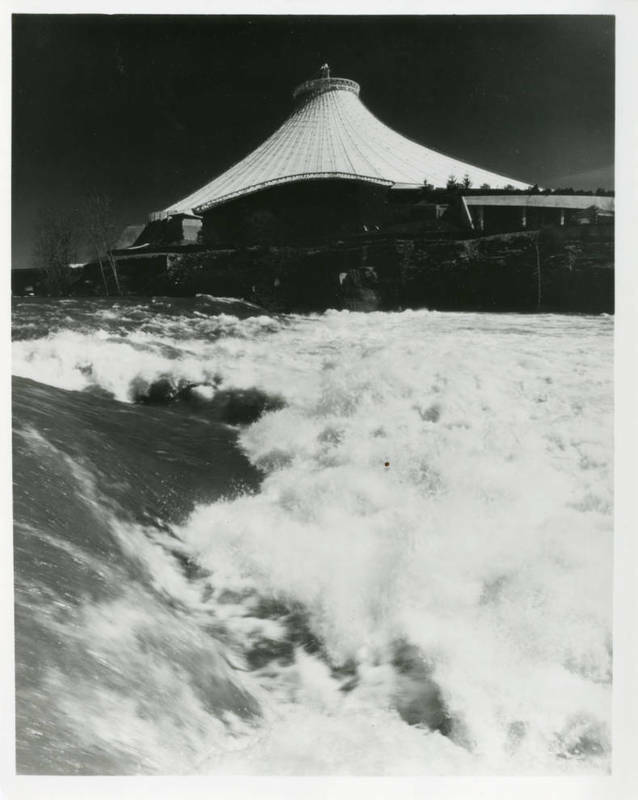 Though it had initiated only temporary changes, Expo '74 had also anticipated a more complete restoration of the falls of the Spokane River. Still, into the new century they often remained as "dry and quiet as a graveyard" as Sherman Alexie wrote in the mid-1990s. And a graveyard they often were, as the evaporation of puddles in the summer heat left dangerous toxins from a century of mining and manufacturing exposed on the bare rock. After a long period of negotiation between the Sierra Club and other environmental groups on one side and Avista on the other, full-time flows were restored in the gorge of the Spokane River in 2009. Even on the driest days, water now trickles in the grooves of volcanic columns. One can look down in not only April and May but also in June and January and see the water of the river once again at work on the landscape. 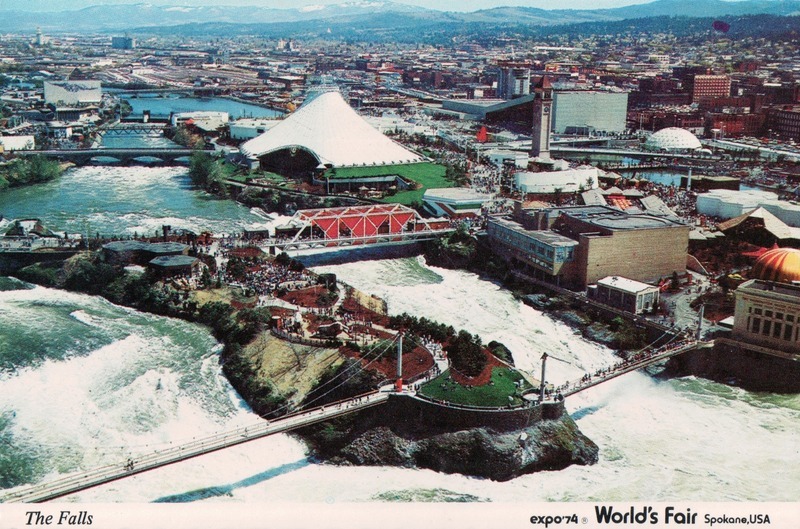 A View of the Falls: The Spokane Falls were an attractive feature of the environmental themed Expo. Image courtesy of the Spokane Public Library's Northwest Room. Clayton Hanson, “Restoring the Falls,” Spokane Historical, accessed April 20, 2019, https://spokanehistorical.org/items/show/76.